Stephanie Sarkis Ph.D., NCC, LMHC, is the author of four books: the bestselling 10 Simple Solutions to Adult ADD: How to Overcome Chronic Distraction & Accomplish Your Goals (2nd edition, 2011); Adult ADD: A Guide for the Newly Diagnosed (2011); ADD and Your Money: A Guide to Personal Finance for Adults with Attention Deficit Disorder (2009); and Making the Grade with ADD: A Student’s Guide to Succeeding in College with Attention Deficit Disorder (2008). 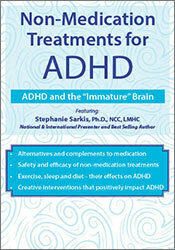 Her fifth book, Natural Relief for Adult ADHD: Complementary Strategies for Increasing Focus, Attention, and Motivation With or Without Medication, comes out in the Spring of 2015. Dr. Sarkis is a blogger for Psychology Today and The Huffington Post. She is an adjunct assistant professor at Florida Atlantic University (FA U) and is a sub-investigator at FA U Clinical Research Studies. She is also a National Certified Counselor (NCC) and Licensed Mental Health Counselor (LMHC) based in Boca Raton, Florida, where she also has a private practice. 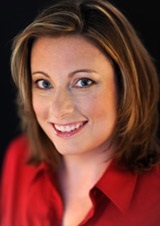 In 2001, she received an American Psychological Association Outstanding Dissertation Award for her research on executive functions and their impact on pediatric comorbid ADHD. Dr. Sarkis has been published numerous times, including in the Journal of Attention Disorders, the National Psychologist, and The ADHD Report. She has presented numerous venues, including ACA, CHADD, ICP, and PESI. She has made several media appearances, including CNN “Health Minute”, ABC News, Fox News, Sirius Satellite Radio, Woman’s Day, and First Business Television. Dr. Sarkis is featured in the book The Gift of Adult ADD by Lara Honos-Webb Ph.D. Dr. Sarkis, in conjunction with the Attention Deficit Disorder Association (ADDA), created the Moulton-Farnsworth Scholarship for college students with ADHD. Dr. Sarkis’ website is www.stephaniesarkis.com. Financial: Stephanie Sarkis is employed by the Florida Atlantic University. She is an author for New Harbinger Publications and receives royalties. She writes a blog for Psychology Today and Huffington Post. She receives a speaking honorarium from PESI, Inc. Non-Financial: Stephanie Sarkis has a leadership relationship with the Attention Deficit Disorder Association.